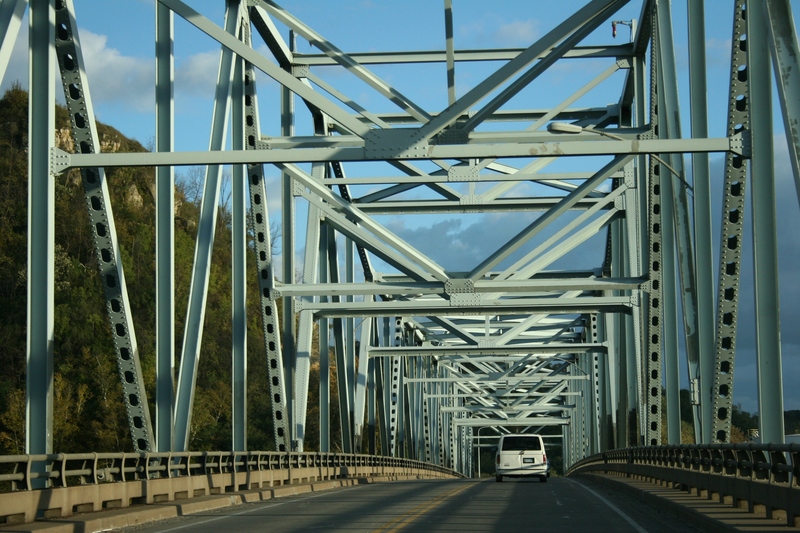 Crossing the Mississippi River bridge from Wisconsin into Red Wing, Minnesota. RED WING. What do those two words evoke? Images of pottery? Boots upon your feet? Historic buildings? 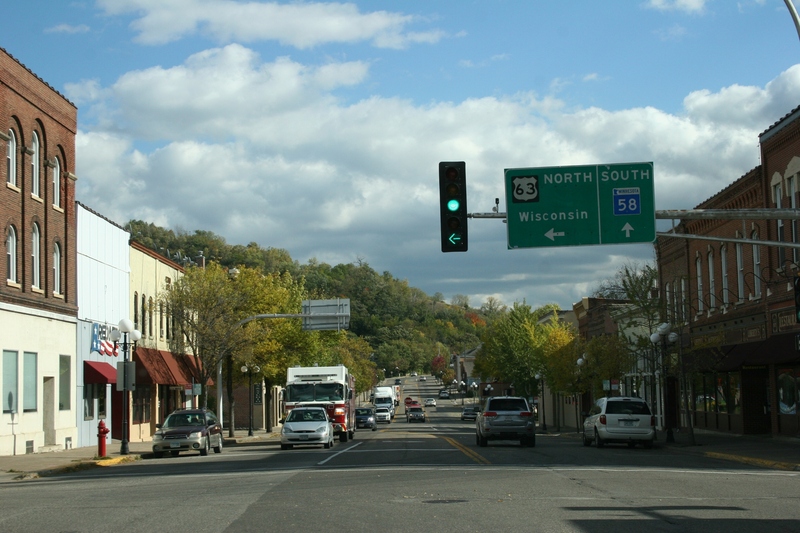 All three define this Mississippi River town in southeastern Minnesota. 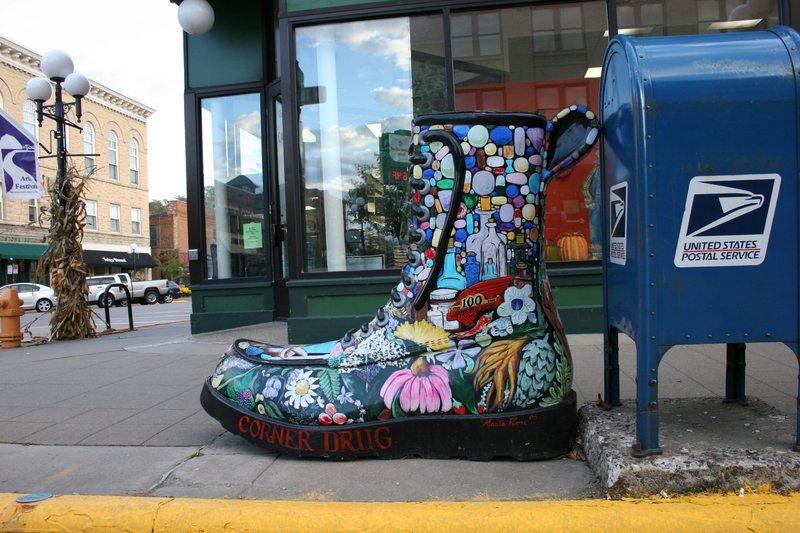 Boot sculptures scattered throughout the downtown honor Red Wing shoes. My husband and I visited in late 2014, walking and dining downtown and then touring the then new Pottery Museum of Red Wing, the Red Wing Pottery Salesroom, the Red Wing Shoe Store and the Red Wing Shoe Company Museum. We packed a lot into our brief tour of this community, which is deserving of more time than we gave it. 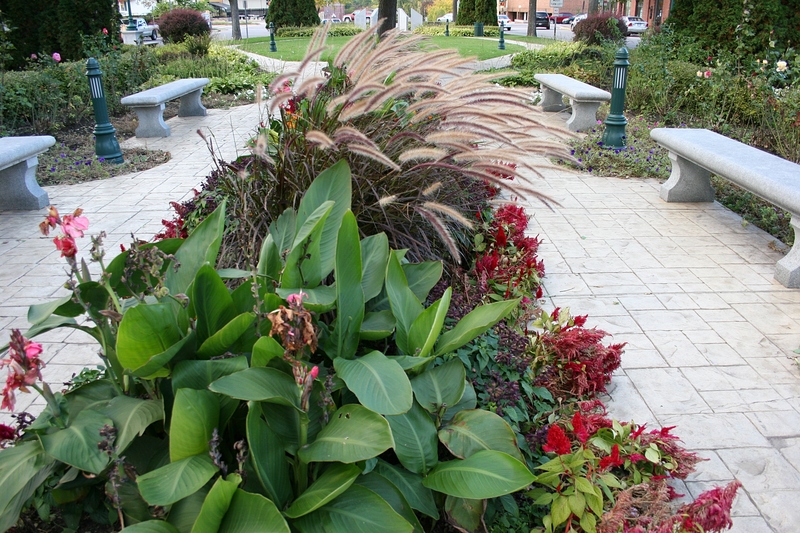 Flowers, grasses and other plants grace a park in the heart of the downtown. 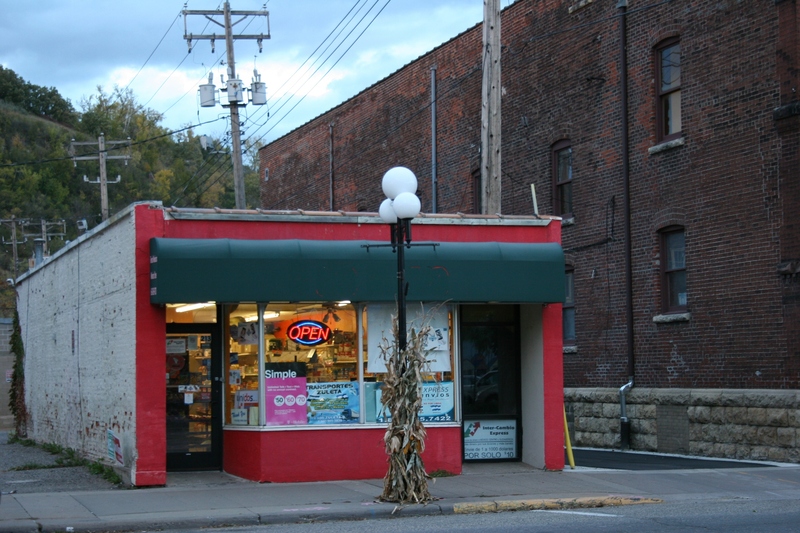 Through a series of photo essays, I’ll present my photographic perspective of portions of Red Wing. Remember, I pulled these images from an October 2014 visit to this city. Some scenes may be different four years later. 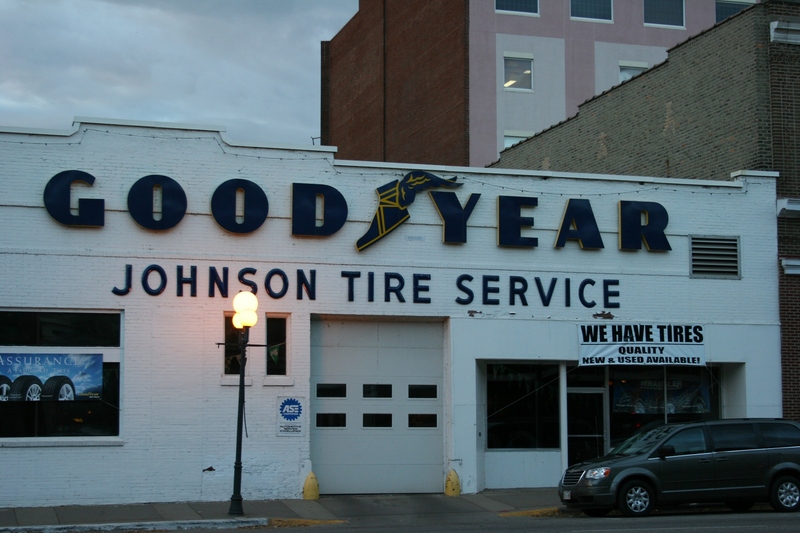 Driving through historic downtown Red Wing. 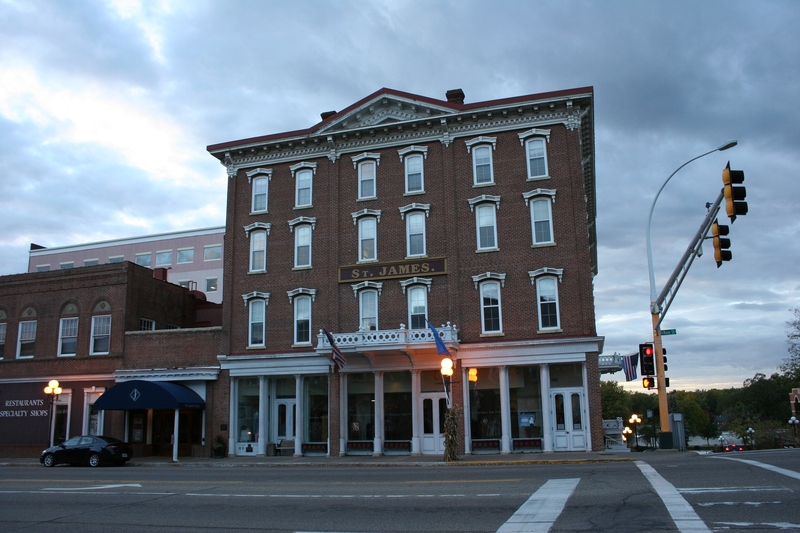 The historic St. James Hotel is a popular dining and overnight destination. The community definitely has an artsy vibe. 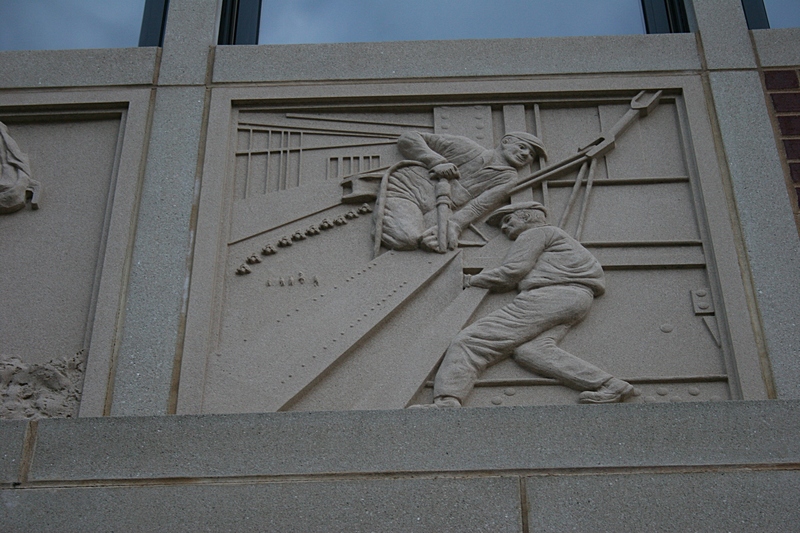 I spotted this sculpture on a downtown building. 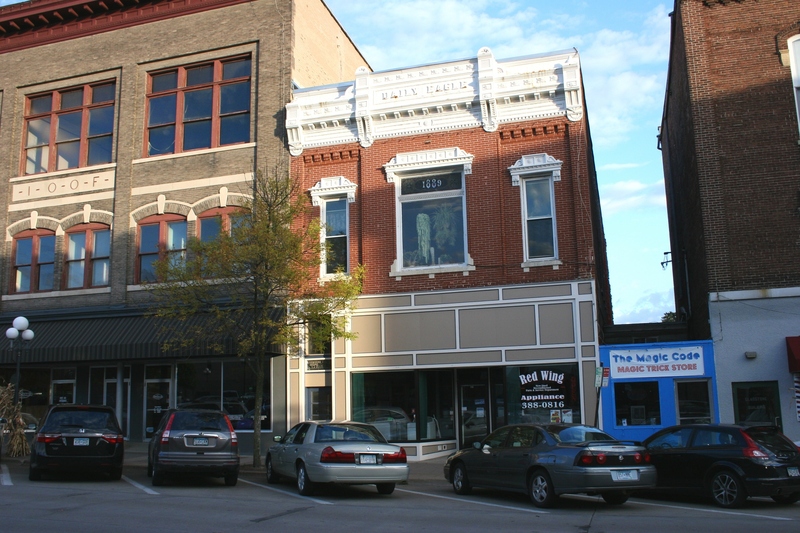 Red Wing is home to the Sheldon Theatre and many other arts venues. Like a throw-back in time. 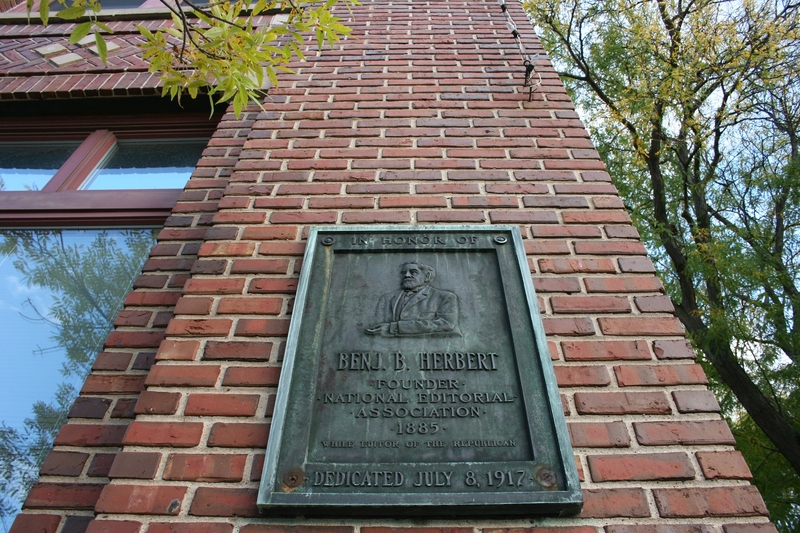 This plaque honors Benjamin Briggs Herbert, a Red Wing newspaper editor who started the National Newspaper Association, conceiving of the idea in 1882. The association serves as the voice and vehicle of grassroots journalism. That blue hue of The Magic Code tucked between aged buildings caught my eye. 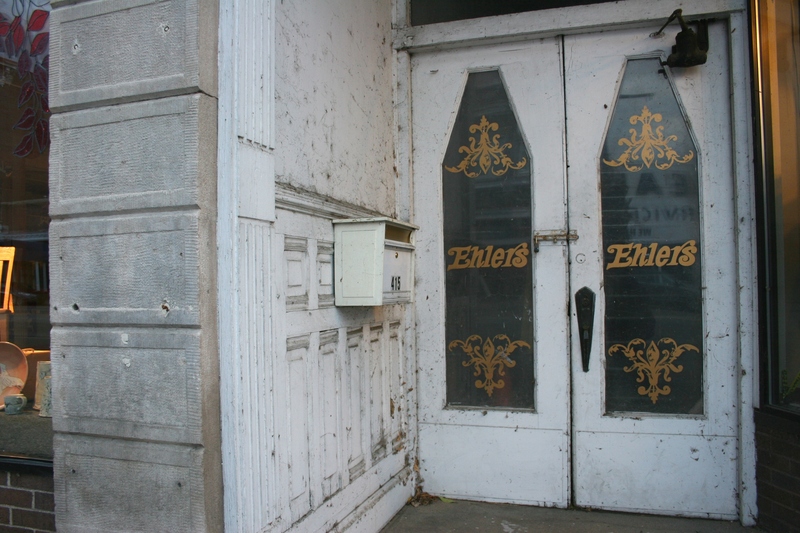 I assume these doors once opened to an Ehlers Department Store. Another colorful business that I noticed. 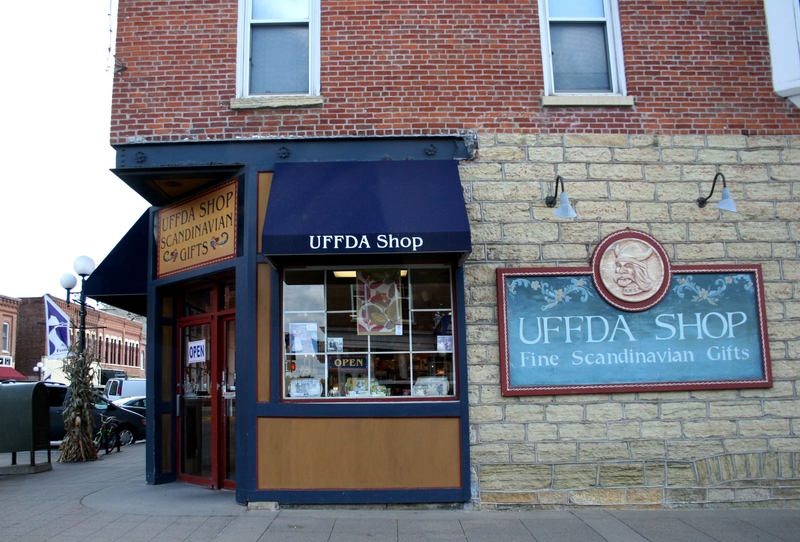 There are lots of shops in downtown Red Wing, including this Uffa Shop. We arrived at a time when most were closed. 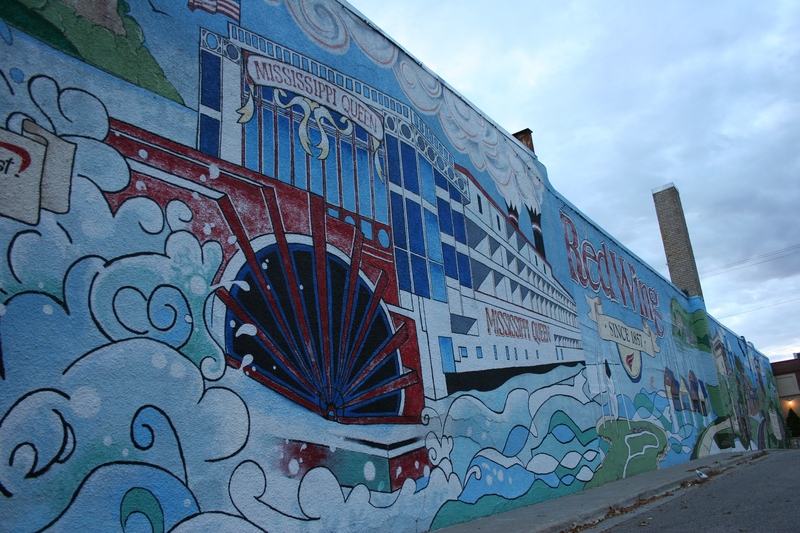 This sprawling downtown mural honors Red Wing’s location and travel on the Mississippi River. A sports club and bar. 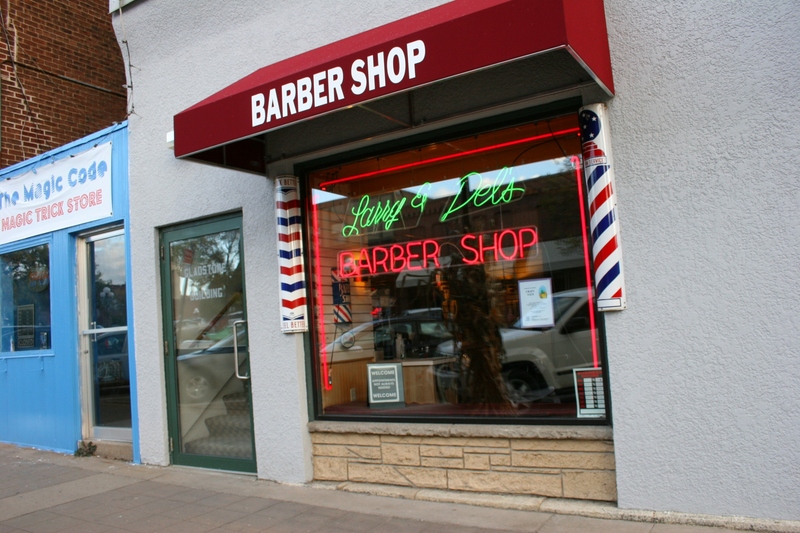 There’s nothing quite as quaint and nostalgic as a hometown barbershop. 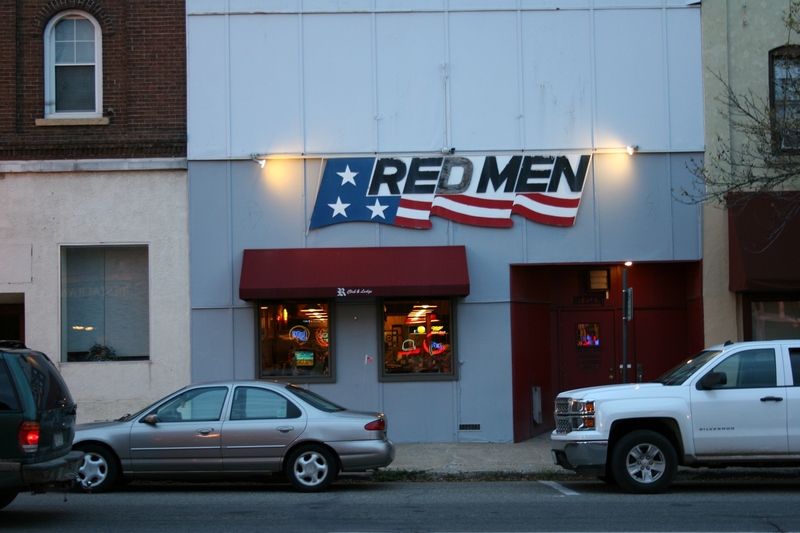 Red Wing certainly is a fun city to explore. We had a Red Wing water crock for drinking water in our old country schoolhouse. Grandfather had a gallon Red Wing jug with a burlap bag wrapped around it that was kept wet and taken out to the Grainfield at Harvest Time. It almost brings a tear to your eye when you think of all the Red Wing Crocks and jugs that have been broken and parts scattered across the whole nation. Leland, it’s good to hear from you. And thank you for sharing those Red Wing pottery memories. I have lots of pix from the Pottery Museum of Red Wing, which I will eventually publish here. Looking forward to visiting next June! So good to hear, Gunny. I’ll have more posts on Red Wing, probably next week. nice photo tour of the city you will have to arrange a visit back there in fall and see what changes prevail and capture some fall colors. colors. Hopefully I will be able to use my camera by fall color season. I don’t have much strength now to manipulate the lens. I’m working toward that goal. They do have an excellent reputation.